We are delighted to announce that we will be representing Nove Bikes in the UK. Nove Bikes is a bespoke custom bicycle company based in Perth, Western Australia. The brand was born out of a want to be different and a perceived gap in the market. If a customer wished to order a custom painted bike, they were left with very few choices and exorbitantly high prices. Nove Bikes strives to provide high quality carbon road bicycles with market leading user personalization. We have developed an online 3D customization tool that allows the customer to personalize every aspect of their bike; from paint to parts and everything in between. We have a dedicated factory based in China that prides itself on the quality of their frames and paintwork. We work closely with them to ensure that only the highest levels of quality control are maintained and that the best carbon layup processes are used. Nove Bikes have also implemented strict ISO safety standards. All of our frames meet the ISO 4210 standards. Not only do we conform to these standards, we also test 20% above them. For example, if a static weight test involves us dropping the frame with a 100Kg load on the head-tube, we up the anti and drop 120kg on the head-tube. We strongly feel that this makes our frames some of the safest on the market. 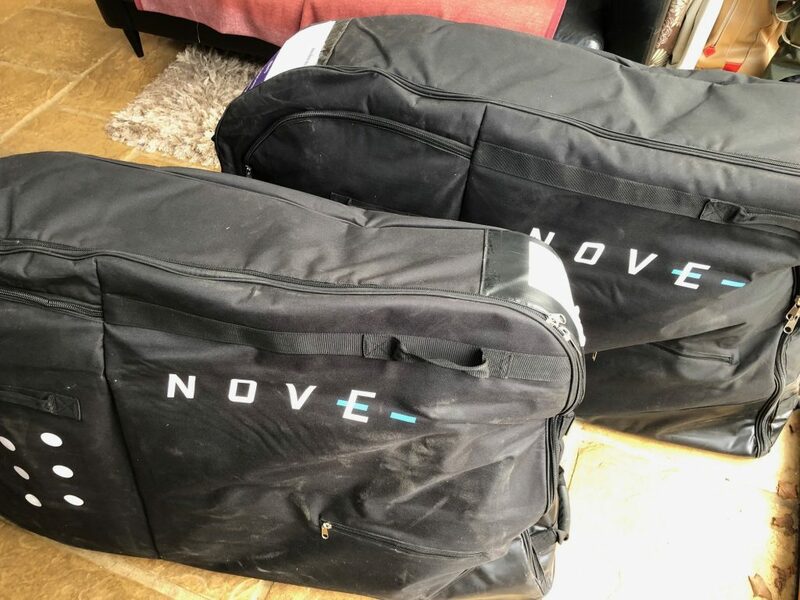 Watch this space for the un-packing, building and riding of the 2 Nove Bikes!